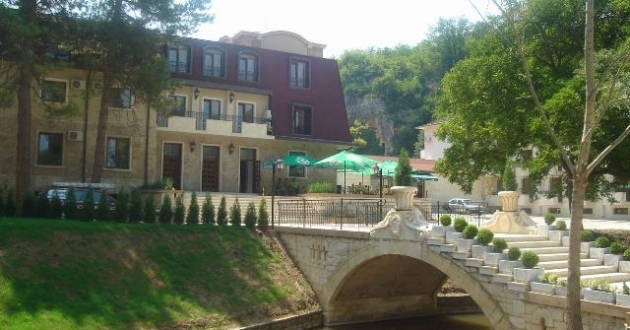 Location: Park hotel Kaylaka is located in the urbanized part of the picturesque park Kaylaka. Accommodation: 4 SGL rooms, 13 bungalows, 67 double rooms, 2 studios, 19 apartments, 11 luxurious apartments with individual sauna, 1 presidential apartment. All premises are equipped with cable TV, mini bas and A/C. In the hotel: restaurant, guarded parking, SPA center with various massages, solarium, sauna, jacuzzi, an indoor pool and a fitness hall.